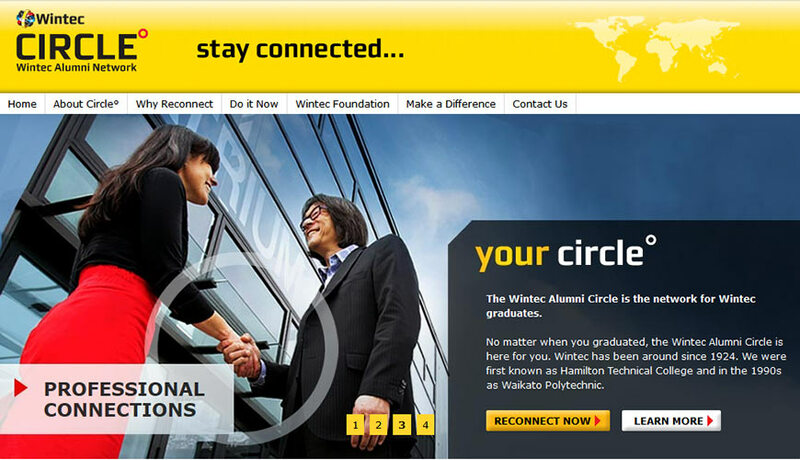 The Wintec Circle was a newly-formed association for Wintec alumni. 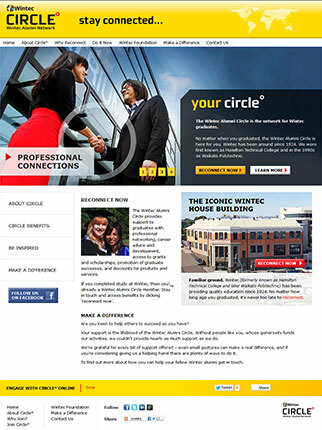 We were brought on board to create copy for the website that encouraged alumni to join the Circle. Because the Circle was new, we had to start right from the beginning, explaining what the Circle did and the benefits to joining. It had to be more than staying in touch with classmates, because there’s social media for that. So we approached it from the angle of joining a community – with certain fringe benefits for future career development. We got great feedback for this site. The designers told the client that the copy had “a great mood and flow and tone” and everyone was thrilled with how well it fitted into the final design.